CRM software is now the biggest software market in the world and the growth isn’t slowing down. In fact, CRM is now expected to reach more than $80 billion in revenues by 2025. Whether you are new to Customer Relationship Management (CRM) or frustrated with your existing CRM system and looking for a change, understanding the criteria for a successful implementation will ensure you are able to enjoy all of the benefits. A useful CRM is well documented to increase sales velocity and accountability. Without a CRM and a pipeline review process, it would be nearly impossible to manage a sales team effectively. And an effective CRM system helps more than Sales – Marketing can take advantage of the data as can the Customer Support team. So, review the following success factors to determine if your company has what it takes to be a leader or a follower with CRM. Companies that have clear roles and responsibilities, key performance indicators (KPIs) and pipeline or deal stages will find it much easier to be successful with their CRM. As with any automation, documented processes that are clear and follow the KISS (Keep It Simple and Straightforward) principle are necessary because they must be followed by every user at every stage of the process or else your data will be unclean. We always say, “Garbage In, Garbage Out” so the first step to ensure you remain garbage-free is to ensure everyone is clear on what the process is. It is different for every company. As an example, let’s start with roles and responsibilities. Most companies have sales people assigned exclusively to new business and others, often called Account Management, are assigned to ensuring those new customers are retained and grow in revenue. This split in roles and responsibilities requires a different process for data entry because New Business needs to know how to enter new prospects and Account Management needs to know how to maintain and grow the data. They will have different KPIs as well as 2 different pipelines because sales activities to close new business and renew existing business can often have different stages. It seems obvious, but many companies try to lump together these 2 different roles into one pipeline, forcing one team or another to interpret how a deal stage applies to their sale, rather than create 2 pipelines that are clearly applicable to each role. A company that believes in CRM principles and manages to them will be much more successful. You want to check that you have buy-in for those documented sales processes by ensuring they are followed in your CRM system. If anyone on the team, including the sales leader, is lax about process, the system will have unclean data and be less useful. 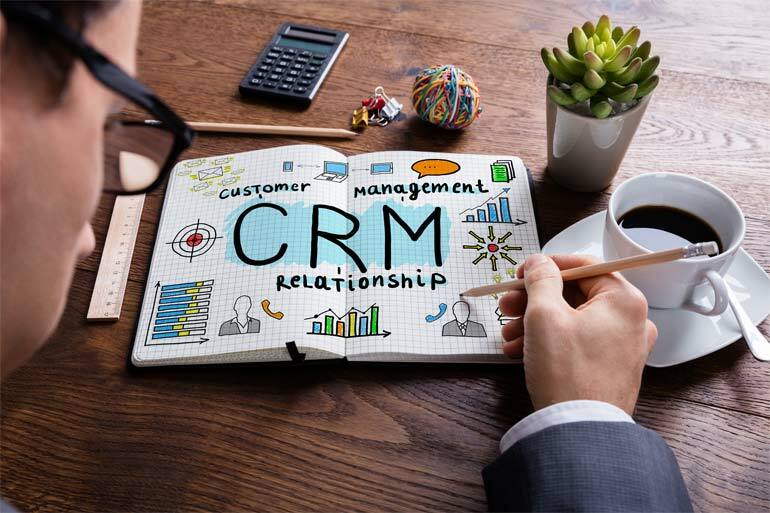 And ensure all of the data is entered into the CRM vs another system, such as Excel, that sends a negative message about the importance of the CRM system. That is the “what gets measured, gets managed” adage. We have implemented CRM systems in companies where the sales leader does not use the data for their pipeline reviews so the data in the CRM quickly becomes out of date. Also required is some resource to ensure the data is clean. Successful companies check each month to ensure that there are no deals in past months or that all of the data is clean and accurate at 100% closed before that company or account record is moved out of pipeline reviews and into Account Management and Customer Support (in the case of a win) or Marketing (in the case of a lost deal). We know there is a CRM supportive culture when there is at least one employee in the company that is responsible for the CRM system as the main part of their job, if not their full-time job. Expecting busy employees who have other full-time jobs to maintain oversight collectively is not a recipe for success. A CRM system is only as good as its data. Typically, there is a large data clean-up initiative during the initial implementation but attention needs to be paid throughout the future as well. Regular data cleansing projects and documented processes to keep data clean at touchpoints from first entry into the CRM through the customer lifecycle are critical to keeping your data clean. Review your policies for avoiding duplicates, checkpoints in the customer lifecycle and keeping compliant with privacy legislation. Consult with the entire sales, marketing and customer support team on their requirements. If you don’t have policies, develop them, either internally or with the help of a consultant who knows and is possibly certified in your CRM system. Expect to customize your CRM instance during implantation and throughout the life of your CRM to reflect changes in your business and regulation. During implementation, you need to understand how to best represent your products, sales cycle, customers and companies with parent and subsidiaries. Plan this in advance of loading your data. Not only will you need to customize these properties (fields) with your business information, you may need to add custom properties. This is one of the most critical steps to get correct during the first implementation and is often the step that is skipped. We recommend getting sales, marketing and customer support in the same room and mapping out each other’s systems and cycles for managing their phase of the customer. As you are documenting those timelines, identify what properties you need and what data is required – and in what form. At the end of that session you will have the beginnings of your personalized database. We mentioned the adage earlier - "what gets measured, gets managed". Reporting is the tool for measurement and each CRM has its unique and often frustrating idiosyncrasies in their Reporting module. Some of those quirks mean you need to go back and change something in your data personalization or data cleansing policies. Add to this that the reporting module has endless flexibility, and you have a recipe for analysis paralysis where you don’t know where to get started. However, if you have clear KPIs in your Sales Process, you have a clear road map on what to set up in the road map. Then it’s simply a matter of setting aside the time to build the reports and dashboards. You’ve no doubt noticed by now that some of these criteria depend on one another, which in part explains why CRM has so many challenges that seem insurmountable. If you are still stuck, contact us. We’re happy to solve your CRM challenge. IT’S TIME TO GET ON BOARD! WHY CRM AND MA ARE THE SECRETS TO HIGH REVENUE GROWTH.